Over 100 tables of Retro Video Games, Consoles, Computers, Accessories, Art, Merchandise, Imports and much more covering all formats. 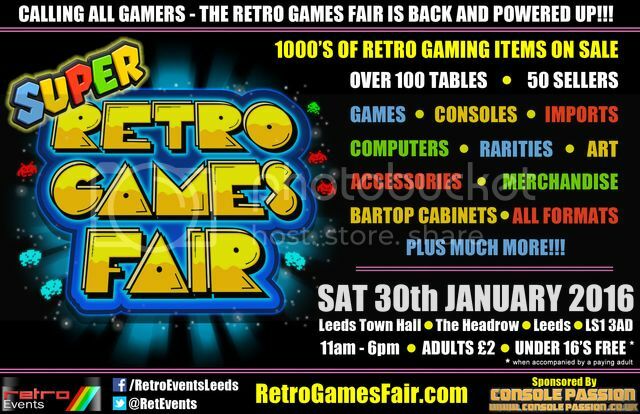 This is the biggest video game sales event in West Yorkshire with up to 100 tables selling 1000's of retro games, consoles, computers, artwork, imports, accessories, toys, modified consoles and much much more all for sale at the big brother of the Retro Games Fair! No need to get up early for the car boot or wait for the postman from ebay! Here you can see the condition in person before you buy from the biggest and best sellers in the country. The perfect event to spend those Xmas pennies! Come along and get some great stuff with those pennies you got from XMAS!! 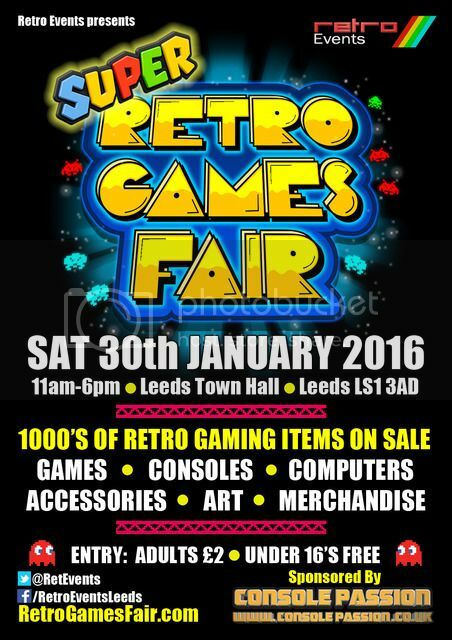 Not that long to go now till the Leeds Town Hall is full once again of an insane amount of Retro Gaming to buy!